Harry suddenly suggests that Lucy is overworked and should hire an assistant. Lucy fears he is actually looking to replace her. 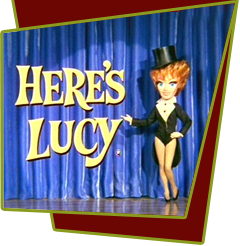 So Lucy enlists the aid of Kim who takes the role as temporary secretary Shurley Shopenaueras, the most annoying, inept secretary in history. Special Notes: Wanda Clark, real life secretary of Lucille Ball, does a cameo in this episode as the efficient secretary. Lucie Arnaz's classic performance cements her importance to the show's success, and her talents are showcased on a regular basis. The production team realizes the talent in Lucie and begins to develop shows to showcase her comedy and musical abilities.